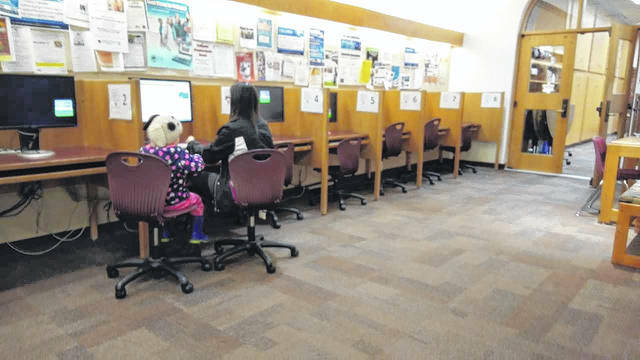 The internet is commonly accessed through programs and devices at the Bossard Memorial Library. The future of the internet and its usage is under debate, although the general public will still be able to access the internet through the public library’s resources. WASHINGTON, D.C. — The Federal Communications Commission voted 3 to 2, to repeal the Net Neutrality policy Thursday, sparking nationwide debate. The policy has come under much scrutiny as to how it will affect customers of internet service providers. “It’s a regulatory principle that says all information on the internet is treated the same,” said Bill Maynard, information technology technician with the Gallia County Courthouse. According to Maynard, the repeal of Net Neutrality will enable different ISP’s to be able to charge according to what kind of information is being accessed. Net Neutrality was instituted by the FCC in 2015 as a rule, and upheld the idea of an open internet service. “The main aim was to make it so that different internet companies couldn’t piece it out,” said Maynard. While the FCC made a decision to repeal the policy, it will remain in court and is still subject to congressional oversight, if those committees choose to act in favor of Net Neutrality. Maynard explained that this was not the first time the FCC has attempted to repeal Net Neutrality, that legislators overturned the decision last time a repeal was attempted. Maynard expects that any effects of the FCC decision will be down the road as the federal government is slow to move and the social backlash to this decision. Currently internet access is available free through Bossard Memorial Library, which provides wifi hotspots to go as well as access through computers. The future of internet availability through public resources like libraries could also be affected by the repeal of Net Neutrality.